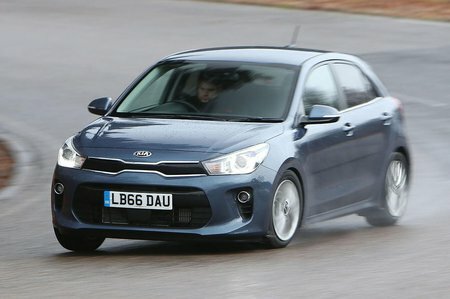 Kia Rio 1.0 T GDi 3 5dr 2019 Review | What Car? What Car? will save you at least £906, but our approved dealers could save you even more. A turbocharger means this little 1.0-litre three-cylinder motor has more power and is more flexible than the bigger four-cylinder engines. It’s at home in town or on the motorway, and offers more than enough pace to match or beat many rivals with equivalent engines.